Western Sydney Stadium is the first of a network of contemporary venues to ensure NSW maintains a competitive edge in the national and international sporting and event market. 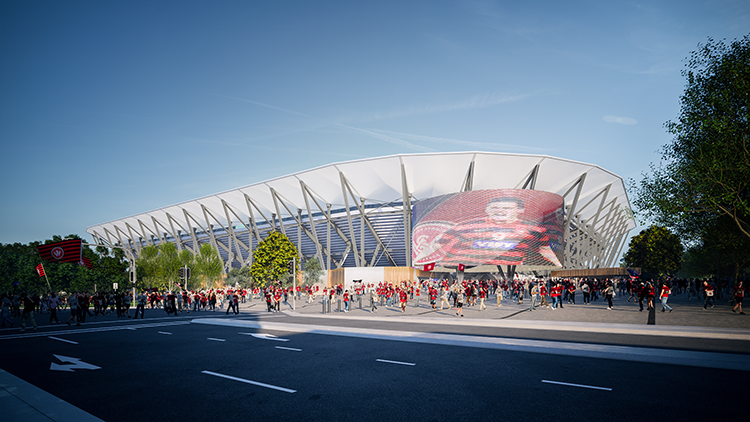 Currently under construction on the former Pirtek Stadium site at Parramatta, Western Sydney Stadium is the first project being delivered in the NSW Government’s stadia strategy. The stadium will set a new standard for sports fans when it opens in 2019, with 3,000 premium seats and an open concourse with views of the playing field - meaning fans won’t miss any of the action. All hirers will benefit from a state-of-the-art playing surface with improved facilities for teams. Event goers will experience better and expanded seating, big screens and modern technology including Wi-Fi, with improved food and beverage facilities. In December 2016, Lendlease was awarded the contract to design and build Western Sydney Stadium, with construction commencing in 2017. It will accommodate a range of activities including rugby league, football, rugby union and outdoor music events. The new Stadium is being delivered by Projects NSW, a specialist project delivery unit of Infrastructure NSW, in close partnership with Venues NSW. Project updates are available for download below and on the Infrastructure NSW website. Watch more vision on YouTube.